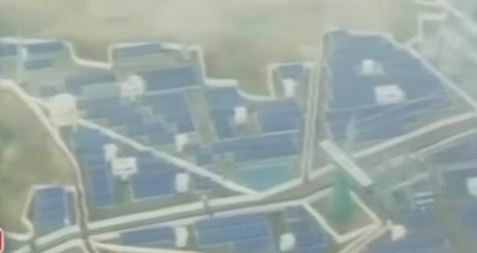 The world’s largest operational solar PV plant has been fully connected to the grid. The 1 GW Kurnool ultra mega solar park in the state of Andhra Pradesh is for this moment the largest solar power plant in the world. The world’s largest solar power plant till now is also in India in the southern India state of Tamil Nadu. That solar power plant in Kamuthi town has a capacity of 648 MW, spread over 10 square kilometers (almost 4 square miles). The ultra mega Kurnool solar plant is the fruit of many developers’ labor, chiefly Indian power developer Greenko, which acquired the rights for 500 MW of capacity at the plant from SunEdison, the now-bankrupt U.S. energy development firm that won the reverse auction with a bid of INR 4.63/kWh ($0.071/kWh) in December 2015. The remaining 500 MW of capacity was awarded to a suite of developers and EPCs, notably Adani – the Indian renewable energy giant that will this week commission the final 50 MW. In just about two years of its conception, much of the 1,000 MW Kurnool Ultra Mega-Solar Park (KUMSP) at Orvakal in Kurnool district, which is the world’s largest solar power plant at any single location, took shape and it is already generating 900 MW of the clean energy. The remaining installation is poised to be completed in a couple of months. Tamil Nadu reported the highest-ever wind energy generation in the country. The state experienced more than 5,000 megawatts of wind power for more than 2 hours on 11 July. Tamil Nadu has the largest installed wind energy capacity among all Indian states. With a total demand of less than 14,000 megawatts on the evening of the 11th of July, wind power fulfilled more than a third of the total demand. The total energy generated from wind energy projects that day was 84.5 million kWh, which translates into 28% of the total electricity consumed in the state. As India moves towards competitive auctions and away from incentives, companies that do not engage in renewable energy generation as their core business are now looking to offload these assets. According to recent media reports, around 3,000 megawatts of wind energy capacity is up for sale in India as the central government has either reduced the quantum of financial benefits or completely ceased in some cases. Now, companies which had made investments in setting up wind energy projects with the purpose of reaping tax benefits and generating additional revenue are looking to sell these assets. ReNew Power Ventures announced that it will acquire three wind energy projects in the state of Andhra Pradesh. The acquisition of wind energy assets from KC Thapar is in line with the trend that saw several companies that do not have renewable energy as their core business sell assets as the tariffs began to fall. In line with the central government’s ambitious target of generating 175 gigawatt power from renewable energy sources by 2022, Gujarat has set the ball rolling for establishing India’s largest 5,000MW solar park in Dholera, around 80km from Ahmedabad. The state government accorded its in-principle approval to the project, which will come up on 11,000 hectares of land along the Gulf of Khambhat in the Dholera Special Investment Region (DSIR).